a spot of whimsy: chanel fairy. we all know gaga is a spectacle, but i have been loving her more sophisticated looks of late (see: here, here, here and here). 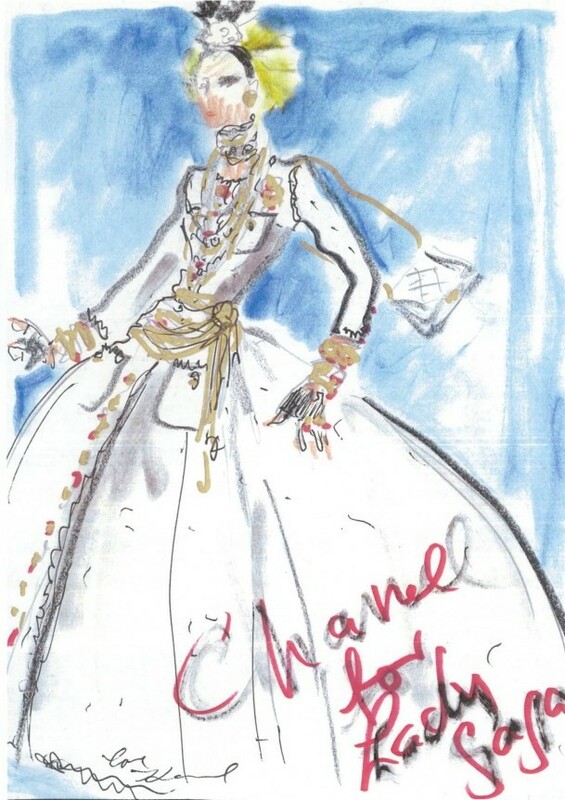 and now here is she as a chanel christmas fairy (love it!) at the launch of gaga's workshop in nyc. what is gaga's workshop you ask? not entirely sure. it's at barney's, and it looks fairly insane. she'd look pretty fabulous on the top of a tree, no? on an unrelated fashion note...you might be aware that the annual victoria's secret "fashion" show airs tonight. on the car ride back to chicago from thanksgiving with 2 best friends from high school, we started discussing this less-than-sacred holiday tradition. i've watched for the last handful of years, and i'll admit, it's entertaining. but this year, after seeing some pics the day after it filmed and the absurdity of it all, i started really thinking about it. i've decided to pass this year. and it kinda feels good. funny how no matter how good you feel about yourself, those vs models and their damn fairy wings (which i totally secretly envy) can bring every last insecurity to the surface. plus ya know what? there's too much "pink" these days. they all look like pedo-bait. bring back a show full of angel wings and maybe i'll come back too. how do you guys feel about it?! Could not agree more on the VS Fashion Show, it has become tacky and way too thin. I'll probably watch it anyways, but it doesn't seem to phase me like it use to. Also, Lady Gaga has definitely done a little holiday transformation and I love it! Couldn't agree more on the fashion show, most definitely passing. And love GaGa as a Chanel fairy, perfection! omg i love this.. she kinda looks like daphne guinness in all the chanel. also, SO with you on the vs show. i'll prob read about it tomorrow online, but no interest in watching. and i'm sorry, but i don't think lingerie counts as fashion. and yes. the models are looking increasingly like skeletor.